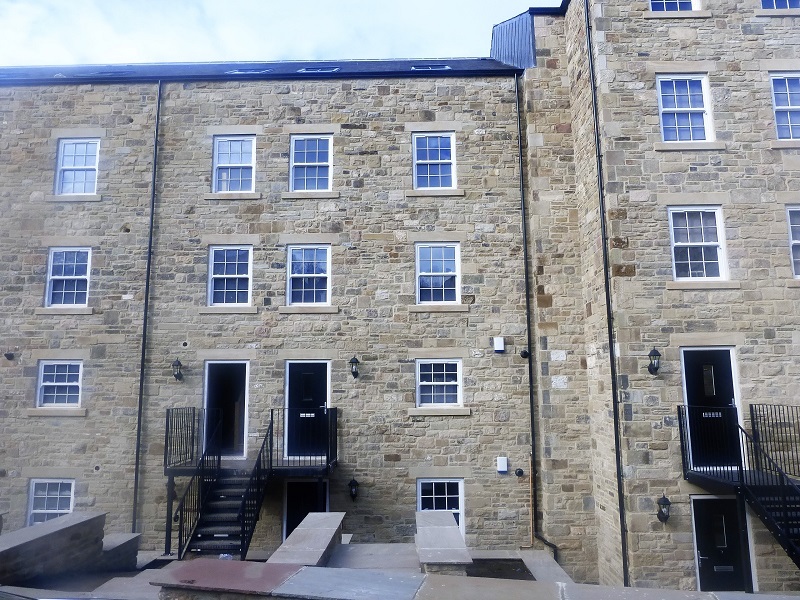 Part of a brand new Development in Shotley Bridge with fantastic views over the River Derwent and South Northumberland beyond we are pleased to offer this most attractive 2 Bedroom Maisonette with private parking spaces to the front. The property has been built to a very high standard and the good size accommodation briefly comprises to the ground floor Entrance Hall, Two Bedrooms, a Bathroom/wc and to the lower floor a large Living Room with bi-folding doors overlooking the river and a large Breakfasting Kitchen. Externally there are communal gardens and private parking to the front and to the rear a walled gravelled area overlooking the river. 18’9” x 13’3” approximately. Spot lighting, radiator. 12’8” x 11’9” approximately. Spot lighting, tv and telephone points, cupboard housing central heating boiler, radiator. Three piece suite comprising of panelled bath with shower over, pedestal wash hand basin, low level wc, part tiled walls, tiled floor, extractor fan, spot lighting, towel radiator. 18’10” x 14’10” approximately. Modern range of base and wall units with work top surfaces incorporating 1½ bowl sink and drainer, built in oven, halogen hob, integrated fridge and freezer, extractor fan, spot lighting, under stairs cupboard, oak effect laminate flooring, radiator.